I’ve read articles and heard podcasts where people talk about iOS becoming or replacing OSX on the desktop Macs. I’ve also read the rumors about a touchscreen iMac. I have always thought this concept was ridiculous, until earlier tonight. Earlier tonight my wife pulled out her netbook (don’t get me started) and my 2 1/2 year old went over to watch. He saw something he wanted to do on the screen and went to tap it. He went to tap it because he is familiar with iOS. He has used my iPod Touch and iPad to play games for his age and coloring games. He knows how to use these devices at 2 1/2. His generation will be growing up on touchscreen devices (iOS or otherwise). After watching him tap the screen of the netbook it hit me that these theories of an iOS type of desktop aren’t that far fetched. Who better than Apple to make the revolution from the traditional desktop to a completely iOS desktop OS? It will take a company not afraid to take a chance and change everything. They’ve already done it when Stebe said no more floppy disks. They killed the very successful iPod Mini for the Nano. Why not change the way we see a desktop computer? When will this happen? I think sooner than later. Maybe within five years. How many more steps in the OSX numbering system until OS11? In those last few OSX numbers we could see the traditional desktop become an iOS desktop step-by-step and it will be my son and his generation that will have no problem making the change. It will be the adults that will be left behind complaining. I do believe touch screens are the future but I think it will take a lot longer to go mainstream, even among Mac users. Just look at the TV. There are countless sources on the web to watch video content but there is nothing yet that replaces the experience that the TV provides. I think people will like to have a touch screen based device but I do not believe we will see touch screens replace conventional desktops/laptops in this lifetime. Even if every Mac users decided to make the leap, that is only 5% of the computer market. While our kids may grow up with touch screens, we grew up with monitors and that will ultimately drive future sales. I have just about 1 of everything apple,and I use my iPad more than anything. I recently picked up my MacBook and started touching the screen before I even thought about it,because I spend so much time with my touch iPad and iPhone. I think it is very do-able I think we may see a shift from desktops and laptops to the I devices,for common everyday tasks. I can see this too, but I also have an interesting counterpoint. My daughter, who is now 3, used to have a lot of problems with the laptop trackpad. She quickly got used to the iphone though, from about 2 years of age through the present. After she’d been using the iphone for some time, she actually did a lot better using the laptop trackpad, and her little brain quickly grasped the similarities and differences, and now she can happily play games on nick jr without a lot of help using the laptop’s trackpad. Once she started getting better with the trackpad, she started getting better at the mouse too. Sure, some of this was because she was developing physically the whole time, but I really saw a clear progression — grasping how the iphone worked, then applying it to the trackpad to move a cursor around, then taking the cursor idea over and figuring out the mouse. So I guess in my daughter’s case, it went the opposite direction! This really is so much nonsense and is part of the long pedigree of “this will kill that” or the”end of …” articles. 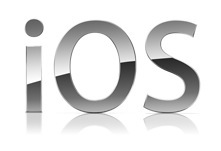 The iOS is an OS designed NOT just for touch screen but for simple one-step tasks and an App environment. It has no file management system. It is not designed for sophisticated work and will never, logically, replace the MacOS. Stuff does not replace other stuff to anything like the extent the computer nerds think. Laptops didn’t replace desktops etc etc. I see your point…how intuitive it is for kids now that they’ve had the “touch” experience on screen. This might be a good thing for lots of folks, and it might not be so great for others. I would hope that the computers in the future with this feature will allow the non-users to shut the feature off. Some of us just don’t want anyone touching the screen. Personally, I like my keyboard on my iMac. I could see a hybrid model coming first.